Jennifer Lawrence Visits "The Tonight Show Starring Jimmy Fallon" on May 23, 2016 in New York City. Jennifer Lawrence accessorized with a cute diamond drop choker by The One I Love NYC. 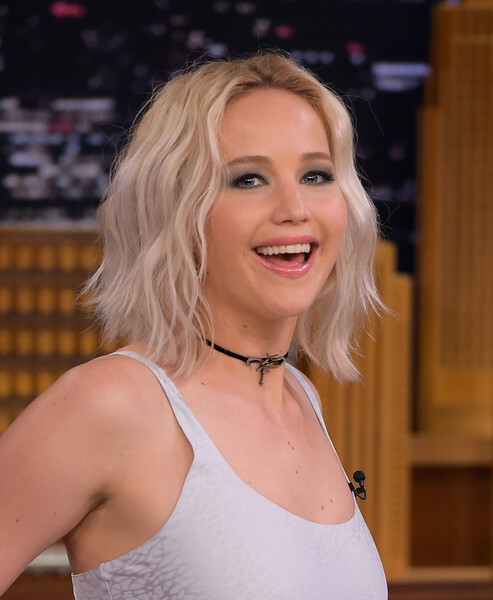 Jennifer Lawrence sported a summer-glam wavy hairstyle during her 'Jimmy Fallon' appearance. Jennifer Lawrence accentuated her eyes with lots of gray shadow.